The opposition has alleged corruption in a new government deal with a Dubai-based marine terminal operator to establish a commercial port and free trade zone near Malé. Opposition members have criticised the deal over an apparent lack of transparency, noting the government had signed an MoU with Dubai Ports (DP) World last month without an open bidding process. DP World, among the world’s largest ports operators, is expected to invest up to US$300 million in a deep-water complex on the industrial island of Thilafushi, and create hundreds of jobs for Maldivians according to the government. Tourism minister Ahmed Adeeb said the government will sign an agreement for a joint-venture company with DP World this month. Former MP and MDP member Visam Ali said DP World was only interested in the Maldives to protect its multi-billion dollar port in India’s Cochin. 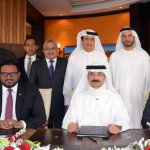 “Dubai World has already made a huge investment in the Maldives region. 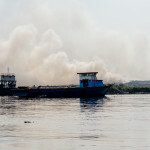 There are three main ports in this region, Colombo, Tutticorin and Cochin. Dubai World has made a US$2billion investment in the Cochin port, to handle a million containers at the same time,” she said at a rally in Kulhudhuffushi this weekend. Adeeb and DP World were unavailable for comment at the time of going to press. However, a Maldives port may “cannibalise” transshipment volume at DP World’s main port at Jebel Ali, Drewry said, adding that the best strategy for the company would be to operate the Maldives port as a low margin facility, possibly in partnership with a shipping line. Ruling Progressive Party of the Maldives MP Ahmed Nihan last week said the port was a first step in transforming the country into Singapore. What's with the obsession with Singapore? Do we get a bubblegum ban? Then we can truly become Maldipore! 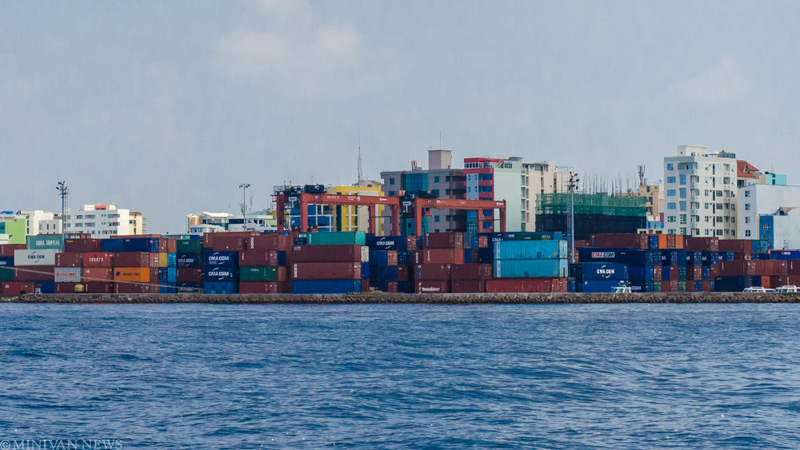 "Ruling Progressive Party of the Maldives MP Ahmed Nihan last week said the port was a first step in transforming the country into Singapore." Another classic from the "Ruling" party. You can't make this place into Singapore for the simple reason that there isn't anyone with either the intelligence or integrity in the "Ruling" party to carry out such a feat. Singapore didn't become Singapore due to a few foreign investments in the 100s of millions of dollars. The greatest asset Singapore has is her people! Think about that! I don't know what Nihan's IQ is, but does look rather low from the comments he make in public forums. Every country is unique, including Singapore. You can't make Maldives into another Singapore. Singapore didn't copy a particular country either. Successful countries have their own particular unique strengths, including Japan, Singapore, United Arab Emirates etc. If Maldives is to become successful, we have to find our own unique strengths rather than trying to copy Singapore or become another Singapore. For one thing, we can never become another Singapore for many reasons - primarily because we have a totally different ethic (do we even have one? ).